It may be difficult to focus on things like limited-edition, holiday makeup brush sets while the state of the United States government swings in the balance, but the 2016 election will be over soon—and life must go on! If you were not aware, the last three months of the year are *the very best time of year to buy a set of makeup brushes* because this is when all the limited-edition brush sets are unveiled. So, we’ll be keeping a list of all the best ones here and adding some new ones as they become available! This year’s holiday brush sets aren’t overly decked out in red and green–at least not yet–but there are some great ones to be had. Click the photo below to see a closeup of the set. 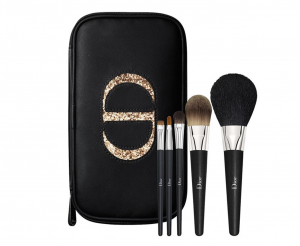 Dior Backstage Brushes, Travel Brush Set, $95. Dior for under $100! This set includes a powder brush, foundation brush, eyeshadow brush, eyeliner brush and lip brush. This foundation brush is a shorter version of one of My Brush Betty’s favorite foundation brushes–truly a great foundation brush. No information on brush fibers, but other than the synthetic foundation brush, all appear to be goat. Overall this set is a real winner as a gift–you can give somebody Dior for under $100, and this foundation brush is an all-star. The Dior Fluid Foundation Brush, in its own right, sells for $46. 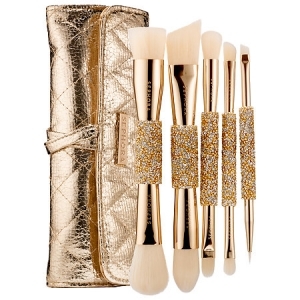 Sephora Collection Double Time Double Ended Brush Set, $74. This is full holiday regalia here, decked out in gold and sparkles. Five pieces included, so 10 makeup brush heads in all. Brushes included: blush/bronzer, foundation/contour, shadow/liner; double-sided eyeshadow detail brush; and a double-liner brush. All brushes are 100% PBT synthetic. You can read up on PBT over at My Brush Betty’s story on how synthetic makeup brushes are not all created equal. Sadly, PBT is not the most advanced synthetic fiber on the market, so not surprisingly, this set is getting mixed scores for performance by reviewers–3.5 out of 5 stars as of today. Says reviewer HollyMelissa: “Visually gorgeous brushes but very poor quality and most of them are useless. I will be sending them back unfortunately.” A much, much better value from Sephora, but not all gilded-out, is the Deluxe Charcoal Antibacterial Brush Set for $62. 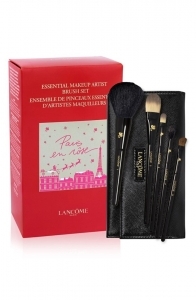 Lancome Pro Secrets Essential Makeup Artist Brush Set, $65. This set also includes a gift with purchase and this feels like one of the top picks in this under $100 category in terms of value. Five brushes are included: synthetic foundation and concealer brushes as well as one fluffy powder or blush brush and two shadow brushes, most likely in goat since the fiber isn’t mentioned. Black fold-over pouch included. Marketing isn’t holiday heavy here, just pretty gold lettering and elegant black, for a less-is-more approach. MAC Nutcracker Sweet Basic Brush Ket, $52.50. 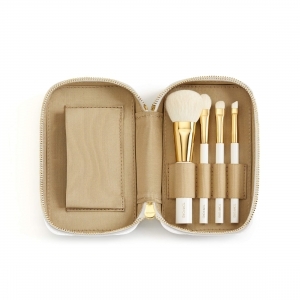 The set includes a foundation brush, powder/blush brush, eyeliner brush, fluff brush for eyes and lip brush. Decorative in pink, black and gold. This is a nice gift, but it’s not a full-face set. A similar kit is offered in a “mineralize” version, also for $52.50, and a “Sweet Mini” set, for $35. No information disclosed on brush fiber at Nordstrom, but these appear to be goat, and MAC’s brushes are reliable, so a solid set for a gift. 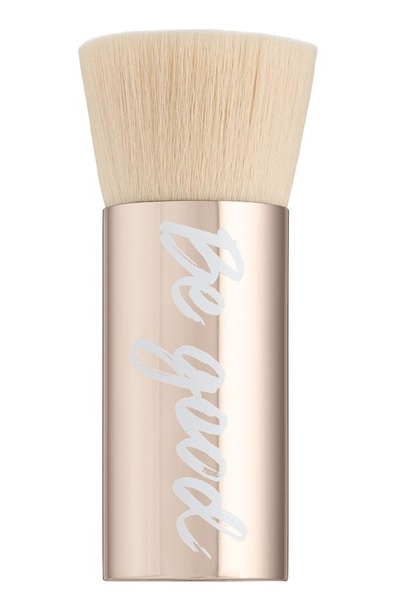 Beautiful Finish Brush from BareMinerals, $34. There are a lot of great single brushes out there that make a great gift in their own right, and this one falls into that category. 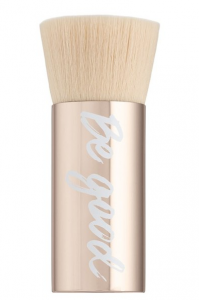 It’s an overt holiday brush, decked in a limited edition handle, with “Be Good” penned right along the side. In the right packaging, this is a winner. Waved synthetic fibers with a convex center to hold product. 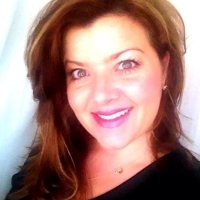 Designed to fit into bareMinerals’ Original and Matte foundation lids. 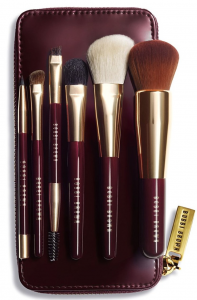 Bobbi Brown Travel Brush Set, $160. This set makes up a full face and it’s absolutely gorgeous in burgundy and gold. 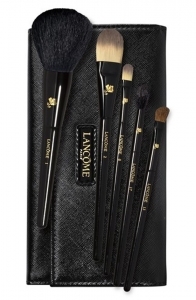 Set includes two face brushes, and eye sweep brush, an angled shadow brush, an eyeliner brush and a brow groomer. The face brush to the far right appears to be an advanced synthetic, while the rest appear to be goat. Again, no information on brush fiber at Nordstrom or Saks, which is especially disappointing at this price point. 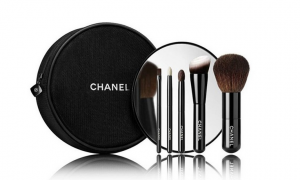 Chanel Les Minis De Chanel Mini Brush Set, $125. Trish McEvoy Power of Brushes, $225. This set is a Nordstrom Exclusive. And I have to confess that I buy the Trish McEvoy holiday set *every single year*, because it’s the best full-face travel set in terms of value. The fibers are always outstanding. They always last beautifully; I just like a new set every year. Best gift for a beauty lover you really love. 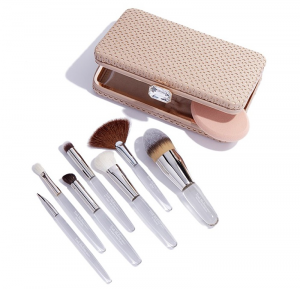 Set includes seven brushes: a foundation brush, a rare fan brush this year, angled powder brush and an eye shadow brush, an eye blending brush, an angled eyeshadow brush, and a bent eye lining brush, as well as a professional sponge and a pretty case. Nordstrom has the case in blush, but Neiman has the same set with the navy and gold, if that’s more to your liking. 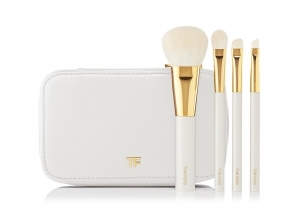 Tom Ford Soleil Brush Kit, $850. A luxurious winter wonderland in white and gold, this set is a stunner. But for $850, it’s still not really a full face set. Which is sort of unbelievable. Done in natural fibers, probably bleached or naturally white goat hair, this set includes a full eye set and a fluffy powder/blush brush. A lot of the market materials talk about the awesome balance of the handles, so we’re confident that this set feels luxe in the hand. But still, $850 and not a full hand. Artis Elite Makeup Brush Set, $355. Unconventional in style, the Artis line of makeup brushes continues to work its way into the marketplace, with celebrities like Kylie Jenner using this new style of brush. 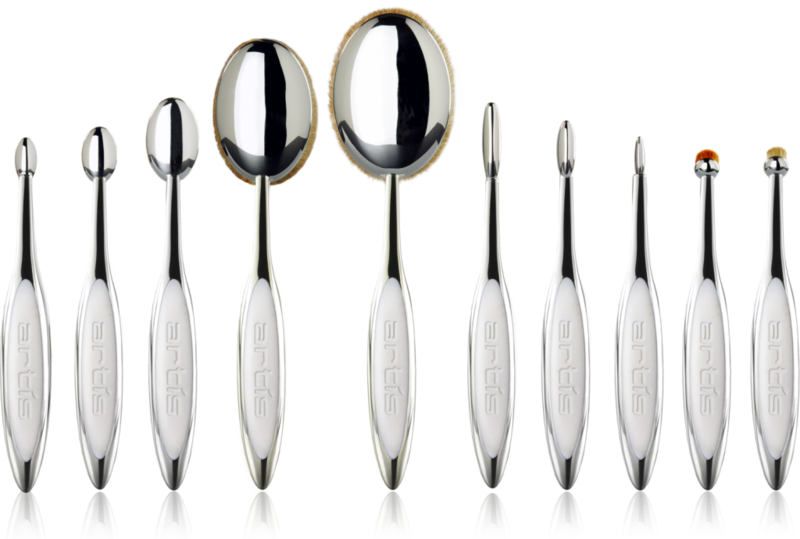 We have recognized the Artis Oval 10 in the My Brush Betty Hall of Fame. That brush, which sells for $75, would make a nice gift alone, but the full set is also a winner. If you haven’t seen or used these brushes, the Artis line is a whole new thing and we encourage you to read our stories about Artis brushes to learn more before buying. The Oval 7, which sells for $60, has apparently become the most popular brush in the line, and recently came back in stock after being sold out, so that’s worth a try, too. You’ll also notice this set sold in a variety of configurations more friendly to the pocketbook. We recommend starting with a face brush here if you can choose just one.